When Novak Djokovic or Angelique Kerber step out to defend their Australian Open titles this year they will share the court with linesmen, ball boys and girls and ... 12 spectators. 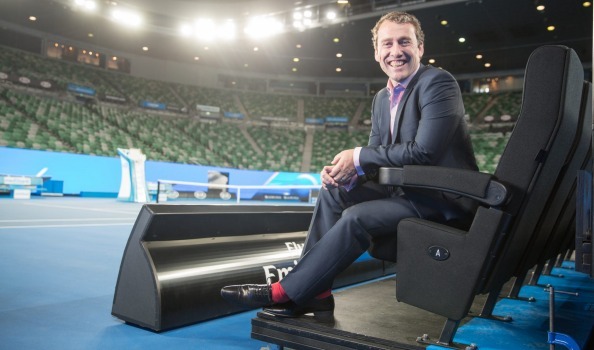 For the first time in its history, and for the first time at any major tennis tournament, cashed-up fans will have the opportunity to watch matches played on centre court at Melbourne Park from special on-court seats. Tennis Australia commercial director Richard Heaselgrave says the old photographers' pit is gone – moved to another part of the arena – and in its place will be 12 premium seats less than two metres from the players. The seats are so premium Heaselgrave won't even divulge the price, but admits the four-figure sum is "quite a lot of money". Prices change depending on who is playing. Taking its cue from crowd experiences at overseas events, such as NBA basketball in the US, Tennis Australia is just one of several local sports bodies looking to tap new revenue streams at higher margins in the luxury customer market. When they returned to the National Basketball League this season after an eight-year hiatus, the Brisbane Bullets made sideline seats a key part of their premium customer pitch. Bullets head of commercial Cameron O'Hara says the club's new Hollywood seats were inspired by the celebrity sightings at NBA games. "We call it the Jack Nicholson experience, because it all started with celebrities like Jack sitting courtside at the NBA," O'Hara says. "We're a new franchise coming back after eight years, so we're taking learnings from the NBA and seeing how they entertain their fans and corporates and VIPs." The Bullets' top-tier tickets at the Brisbane Convention and Exhibition Centre cost $240 each. For that fans get to have their feet on the court less than two metres from the players, access to pre-game functions and food and beverage delivered directly to the seats. "As sporting franchises you're constantly looking at ways to provide non standardised options," O'Hara says. "For the Hollywood package next year, we're looking to include locker room access, a meet and greet with the coach for example. "We always say 'Innovate or lose ground'. Our standard ticket price is $42, so if you can yield $240 for a seat, that's a premium option for us to sell, and in a small venue like ours, it's even more reason to commercialise every seat." The club recently introduced in-seat merchandise sales, where customers can place an order from their smartphone and have it delivered to their seat within the same quarter. A week ahead of the Australian Open, Heaselgrave says the Rod Laver Arena on-court seats are attracting global interest. "We have fans coming over from China who have booked out all the available seats for the whole session for example," he says. "Then it's a lot of milestone celebration actually, we have a husband celebrating his 40th birthday, a dad's 80th, couples on their honeymoon ... I was expecting it to be more corporate based but we're finding a lot of human interest stories." The experience includes private dining, a dedicated host, and the almost priceless experience of walking on the same hallowed blue surface as the players. The cost is discussed on a one-on-one basis with the customer, and is somewhat fluid. "If someone wants to take the first five sessions, for example, obviously it's a lot of money and we'll be flexible on the price," Heaselgrave says. With no global precedent for this experience in tennis, Tennis Australia took the lead once again from the NBA and also from the world of the arts, where proximity to performers is prized. "There are a lot of dynamic things happening in other sports, but you're going where no one's gone before with these seats," he says. "No other tennis grand slam does this, the idea of sitting on the court at Wimbledon is impossible." Heaselgrave says the key tennis players were consulted on the new initiative and extra security measures and codes of conduct will be in place so the fan presence doesn't affect the matches. Luxury hospitality has long been an integral part of sport, but until recently it's been predominantly the domain of corporate entertaining in private suites, accessible by invitation only. 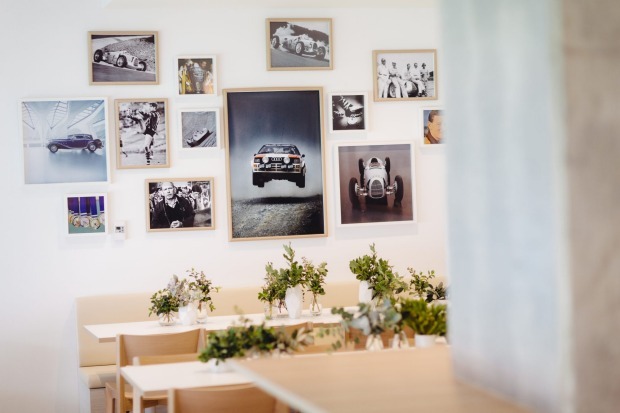 But even these are being significantly improved as shown by the swanky new Audi Australia suite at the MCG, a result of a six-month redevelopment by interior designer Darren Palmer. Samsung has also dabbled in premium sports experiences with the futuristic SlideLiner, which allowed four fans to sit on the edge of the rugby pitch and move a five-metre long structure along a custom track to see the Wallabies up close. A new partnership with Telstra has also introduced Smart Seats to Etihad Stadium in Melbourne, where in-seat fully featured Samsung Galaxy tablets are available for fans to use for free during the matches. As O'Hara says, sporting matches are inevitably becoming a feast for all the senses. "When the NBL was purchased by [Dodo founder] Larry Kestelman in October 2015, his vision was to create a premium top-end entertainment product. You see the Cricket Big Bash coming into that realm also. "We're all about entertainment, we're a show." Our professional knowledge, elite team, and industry experience are our incomparable advantage, which ensures us to grasp the market pulse in different areas across Melbourne. Copyright © 2019 Website. Designed by Cactusinspiration.